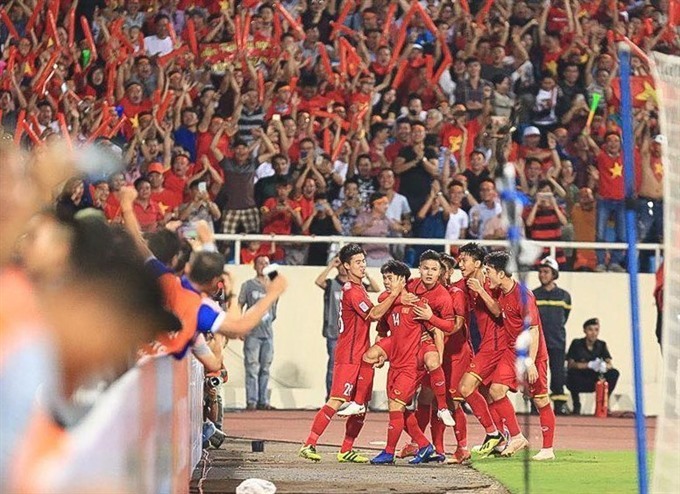 Việt Nam’s national team has the longest current unbeaten run in world football after the 2-0 loss of World Cup champion France against the Netherlands in the UEFA Nations League last weekend. Before losing to the Netherlands, France held the distinction of the longest run of unbeaten matches with 15, having last lost last to Columbia on March 23. Following France’s loss, Việt Nam holds the title for the time being with a 10-match run without a defeat stretching 22 months and 15 days. The team’s most recent loss was against Indonesia, a 2-1 defeat in the semi-final of AFF Cup 2016. In the last two years, the team has four wins and six draws. Their 10 undefeated matches include three in this year’s AFF Cup, one friendly and six matches in the elimination rounds of the Asian Cup 2019. A popular Twitter account users, Mister Chip, who has more than 60,000 followers, Tweeted: “After yesterday’s defeat of France in the Netherlands, you cannot even imagine which soccer team has the most consecutive matches without losing anywhere in the world right now…” before showing the flag of Việt Nam in his next Tweet. Việt Nam’s national team still have two matches ahead against Myanmar and Cambodia in the qualifying rounds of AFF Cup 2018, offering a chance for the team to extend their streak.